That's all from Holyrood Live! That's all from Holyrood Live on 27 February 2019. Brexit Secretary Mike Russell pledged to resist any attempts by Westminster to impose common policy frameworks in the event of the "chaos" of a no-deal Brexit. The Brexit secretary pointed out if the powers in the EU Withdrawal Act were used, it would freeze the Scottish government's cooperation. Mr Russell told the Finance and Constitution Committee the Act was "dead to us and we don't acknowledge its legitimacy." Mental Health Minister Clare Haughey acknowledges the BEAT ambassadors in the gallery and pays tribute to her colleague Emma Harper for her work raising awareness of diabulimia. Ms Haughey also says she wants to honour her former colleague Dennis Robertson for his campaigning following the tragic death of his daughter. She goes on to say the Scottish government will commission a needs assessment of CAMHS in Scotland in terms of eating disorders. Many MSPs in this debate have paid tribute to former SNP MSP Dennis Robertson for his campaigning to raise awarness of the the struggle eating disorders sufferers face. Dennis Robertson's daughter Caroline died in 2011 after suffering from the condition for five years. He repeatedly called for greater awareness among GPs and medical professionals to enable sufferers to be diagnosed and treated earlier. Labour MSP Neil Findlay says anorexia has one of the highest death rates of any mental illness. "I cannot begin to imagine the pain of watching a daughter or son or partner dying because they do not want to eat or take in nutrition." Early intervention is the key factor on the path to recovery Mr Findlay says and adds the 18 week treatment time guarantee is not good enough. He highlights that in England, young people are guaranteed an appointment within four weeks and, if urgent, one week. Mental Health Minister Claire Haughey highlights the triaging of CAMHS services which mean some patents can get seen on the same day. The reality on the ground is that many people are not getting access to treatment quick enough, responds Mr Findlay. Veganuary, vegan burgers, vegan trainers – veganism is definitely having a moment. And a well-planned vegan diet can support healthy living in people of all ages, according to the British Dietetic Association. But for Rebecca Hills, 20, going vegan wasn’t about 'ethics' and 'healthy eating', like she told people. It was to cover up her eating disorder. Tory MSP Brian Whittle tells the chamber he has three daughters and he is very concerned about the changing language around body awareness. Mr Whittle says some of the language he has heard from his 11 year old daughter and her friends at the running track has been a concern. He says he was concerned a close friend had bulimia and eventually that friend handed him a letter as they feared he would be disappointed. "I found that massively distressing." "We need to change the language and change the conversation." "I've got my life and I've got my feet. They're two of the biggest things for me considering what damage I could've done to myself." Becky Rudkin has diabulimia - a term used to describe those with type 1 diabetes who deliberately take too little insulin to try and control their weight. It isn't a medically recognised condition but a £1.2m grant has just been awarded to fund research into it. It's hoped scientists will be able to come up with an effective treatment plan for people with diabulimia. SNP MSP Emma Harper highlights there are 1.25 million people across the UK living with an eating disorder, while 536 were treated in Scotland last year. She praises the various organisations which offer support to people with eating disorders. People from BAME communities and from poorer backgrounds are less likely to get support for eating disorders because of the idea of what someone with one likes like, she says. The SNP MSP highlights social media can be a "dangerous platform for hate and discrimination" and we must consider the impact it might have on young people at risk of developing an eating disorder. She highlights the dangers of diabulimia and urges family members of those with Type 1 diabetes be aware of symptoms. 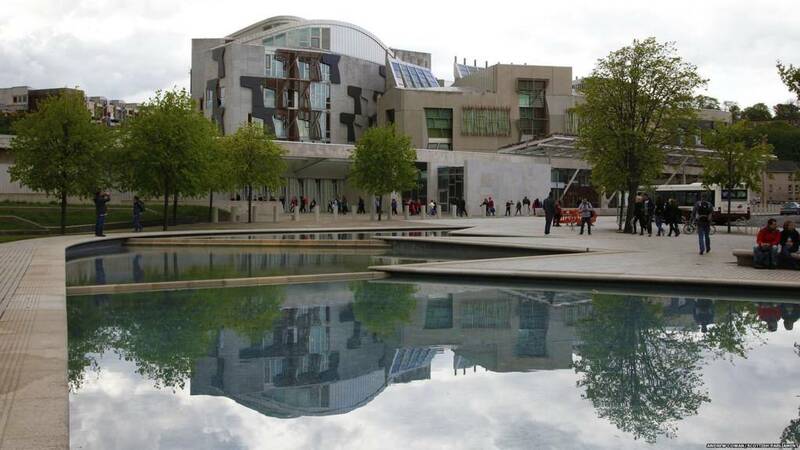 Ms Harper praises the Scottish government for its step to deal with the mental health issue of eating disorders but also calls for more to be done to get diabulimia recognised as a medical condition. Click here to see former SNP MSP Dennis Robertson's moving speech in memory of his daughter Caroline. New guidelines are to be drawn up to help support the care of patients with eating disorders. The Scottish Intercollegiate Guidelines Network (SIGN) will focus on the "specific to the needs of Scotland". In the latest year in which figures are available, 2017-18, 536 people were treated for an eating disorder. SNP MSP Emma Harper is leading a debate to highlight Eating Disorders Awareness Week. The Scottish government amendment is agreed (61 for and 54 against). The Tory amendment is not agreed with 27 for and 93 against. The Labour motion, as amended, is then passed. 94 backed it, 21 voted against and 6 abstained. The government amendment is agreed to with 65 MSPs backing it, but 56 MSPs voting against. The Tory amendment is thus preempted. 93 MSPs agree to the Labour motion, as amended by the government, with 28 against. Labour MSP Daniel Johnson says: "Transparency is fundamental if we are going to ask people to have faith in our justice system." For an individual to be treated differently due to their life chances is unacceptable, Mr Johnson argues. Someone with a greater degree of education should be held to a higher account than someone who has less, he argues. Mr Johnson say there is a very real danger that there is a sense that if you are poorer you will be treated more harshly by our justice system, which is something we cannot abide. He tells the chamber he cannot back the government amendment, as we must bring forward guidelines urgently.